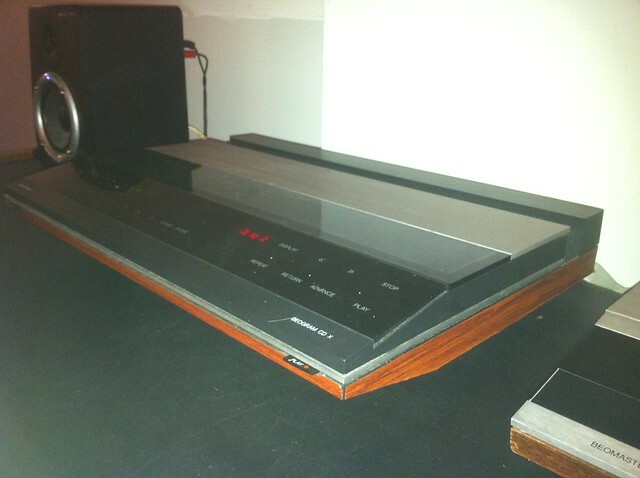 Hi, I have recently brought a beogram cdx cd player its mint condition and has been working fine until a few weeks ago. When you load a disc it don't spin up, you load the disc and it moves like a centimeter and stops and on the screen it displays somthing like a question mark. However some times you put a disc in and it works with no problem straight away. its really starting to annoy now Ive tried everything different amps, different cds even a laser cleaning disc but doubt that would do anything because the way the laser shines though the little rising platter thing. Could it be something as simple as you not loading the CD correctly? If you get the CD to slip down in the holder then you will get the same symptoms of the question mark that you are describing. One of the quirks of the CDX is the loading tray and its ability to sometimes let go of a CD. As you can get it to work sometimes then I have a suspicion that if you double check the CD is sited properly each time the problem will be solved. Hi, Thanks for your message I have had a go with what you suggested and its still the same now its trying to spin like 1 whole turn of the disc then it stops with the ? sign on the screen. Not quite sure whats going on could it be possible the lock in screws have something to do with the problem ? The way you describe it, it is probably some electronics problem. Those models had some issues with bad solderings. Or maybe it's some worn out components. It IS rather old - so no wonder if some components need to be replaced. Sorry to have to tell you those are the symptoms of the classic soldered joint problems but they can also indicate bigger troubles. My CDX had soldered joints repaired which fixed this problem but when it emerged again the service engineer said it needed a new laser board. It was pretty old by then and he said parts were not easy to locate so I sold it to him for spares and bought a Beocenter. Probably worth dropping it in to a B&O engineer just in case its the soldering problem but I think most will have already had this fixed. The lasers are bullet proof - the solder joints anything but! Common problem and fixable - worth it as well as this is a very sweet CD player - I compared it with some £1000 new ones a couple of years ago and preferred the CDX. Exactly what my own CDX needed too, almost three years ago! It's been working fine ever since. Now that you've done that you will irresistibly feel like buying and fixing other B&O stuff... Beware, there is no turning back! Could you post a picture of your CD X ? That "wood trim" is not original. Stuck on by a previous owner, I should think. Thank you so much for the tips on repairing my Beogram CDX I've own since '86. It stop working in around '98 and haven't used since now. I used my soldering iron on all the griplets with a little silver solder and I couldn't believe it. Thanks so much. Congrats on your repair. And thanks bringing me back those nice memories of my 1st successful B&O repair. Mine still plays flawlessly after 4 years, thanks to the resources and supportive people of this forum. The CDX is the most beautiful CD player ever. Hope yours will also bring you years of nice music. There's a nice article by Tim about the CDX in the November issue of Hifi News & RR. Enjoy!